The coffee table and the overhead light are the centre of your living room. Literally. With all eyes on these two key pieces, it's important to choose styles that make a statement in the space while also playing nice with each other. Designers Shea and Syd McGee of Studio McGee in Salt Lake City, Utah got it right, as they so often do, in their Foothill Drive project (above). The Mill ceiling light and its partner coffee table introduce the sophisticated lustre of gold to the otherwise subdued surroundings of neutrals and pastels. The caged design of the light is echoed in the coffee table's base. A stone table top ups the luxury another notch. 1. 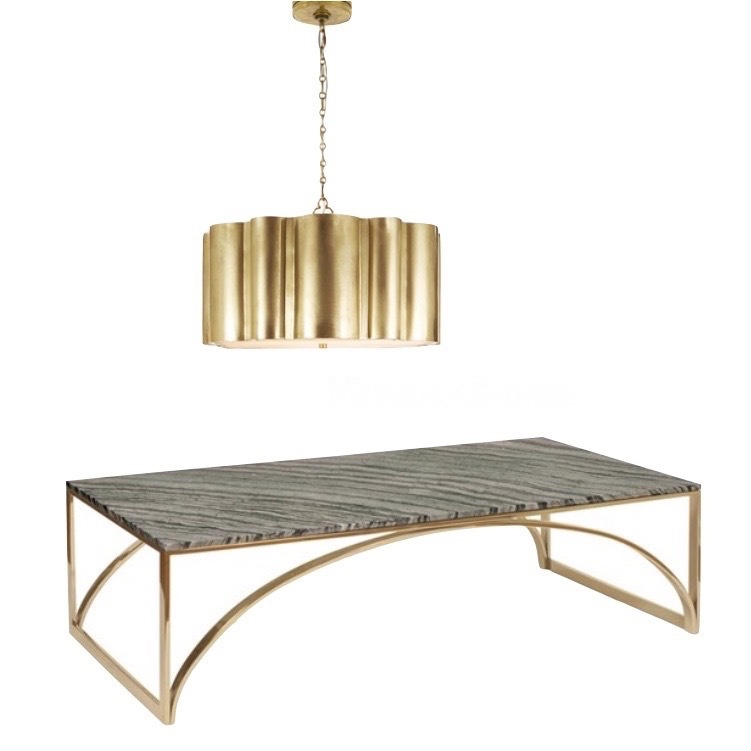 Markos light + Sydney table. 2. Star light + Wynton table. 3. Hampton light + Apollo table.